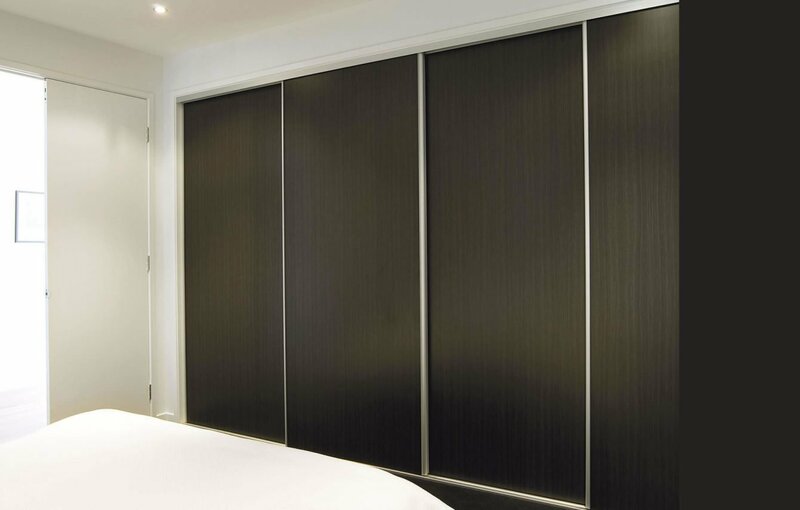 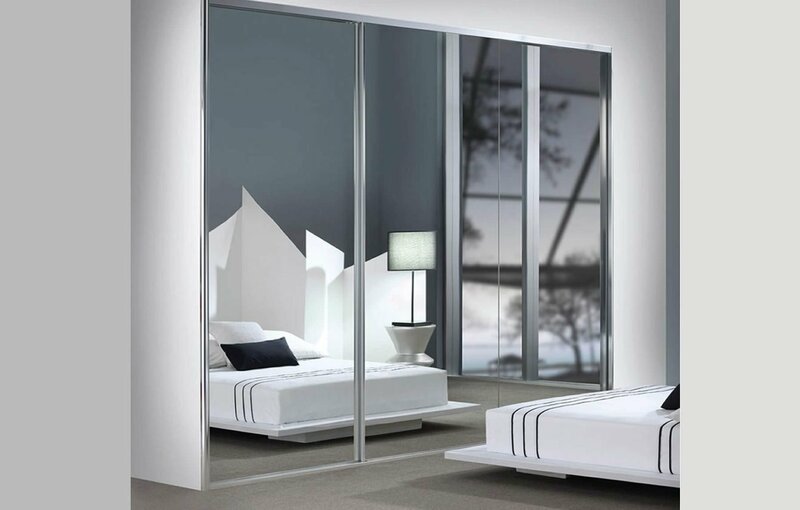 Imperium design, manufacture and install custom wardrobe sliding doors for built in or external wardrobes. 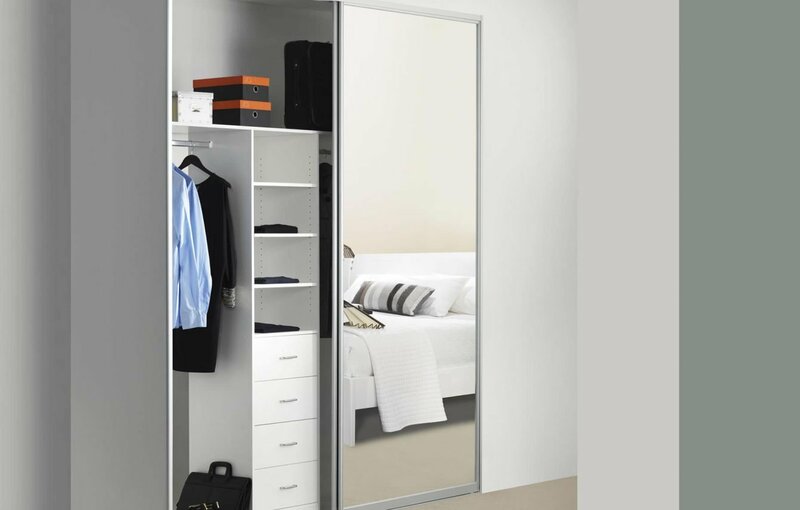 Wardrobe sliding doors are a perfect way to close and keep your belongings hidden. 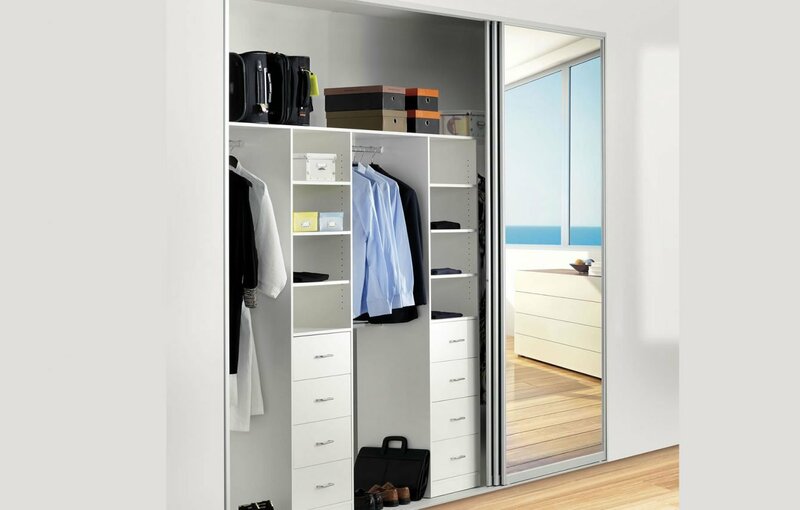 It helps keeps your clothes clean, tidy, away from dust, and avoids your room looking cluttered and unkept. 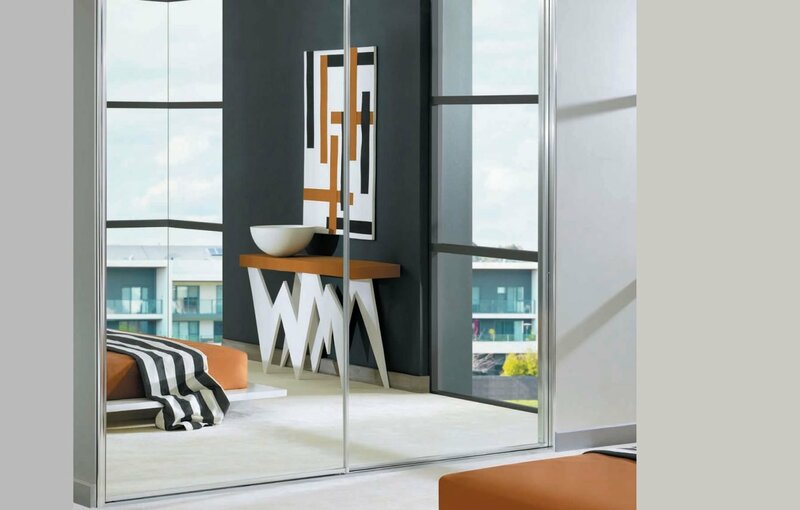 All our wardrobe sliding doors are custom made, so you can choose the finish and colour to match the rest of your room’s decor. 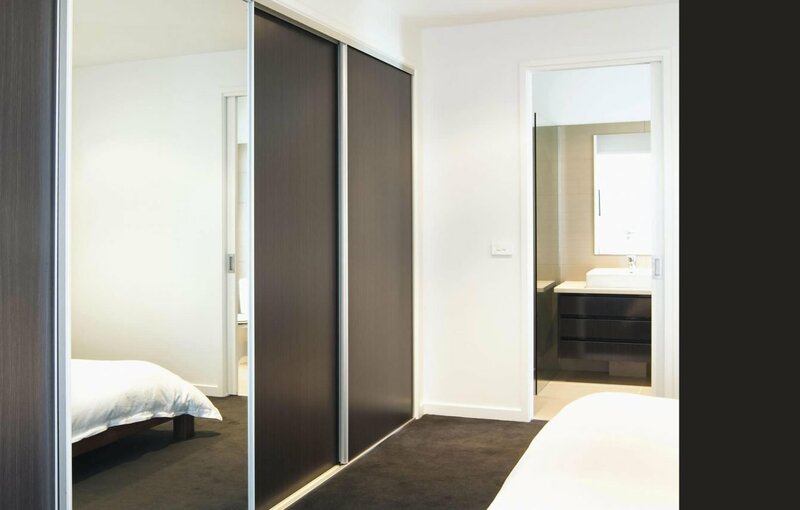 Each of our doors are measured and cut to be exactly the right size using our top of the range CNC machines. 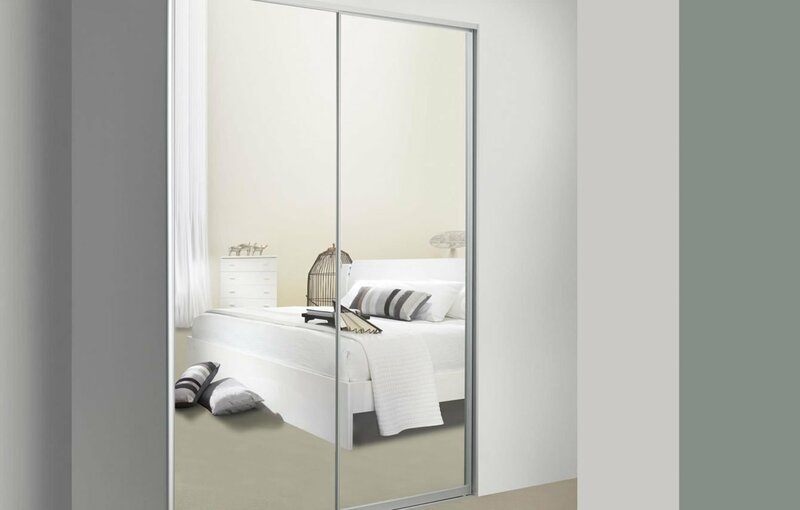 Wardrobe sliding doors can be finished with a classic mirror look, which is not only functional but can make your room look larger. 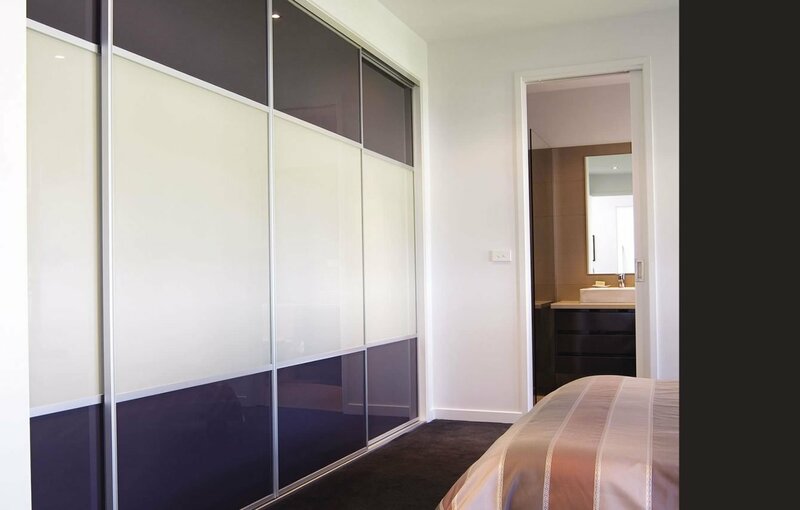 White melamine or coloured panels are also a popular finish, or even different colours on multiple panels to provide a unique colour-blocked look. 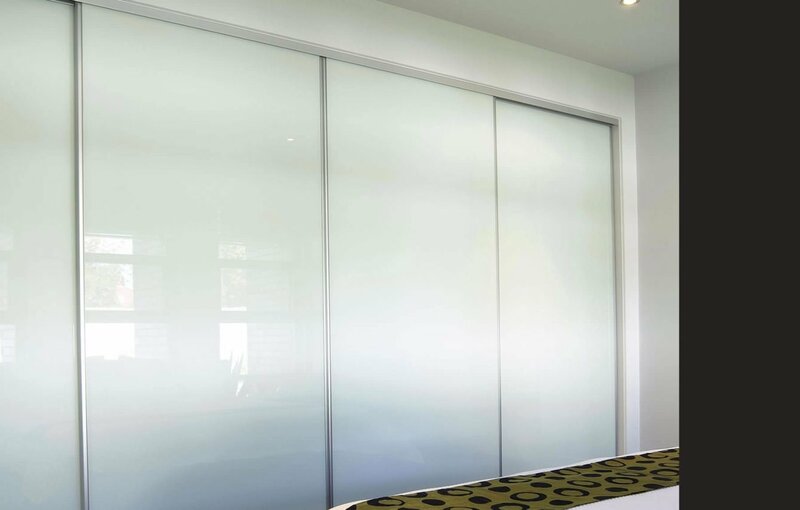 Coloured panels are ideal for children’s bedrooms, bringing a splash of colour to brighten up the space and make the room feel a bit more fun and youthful. 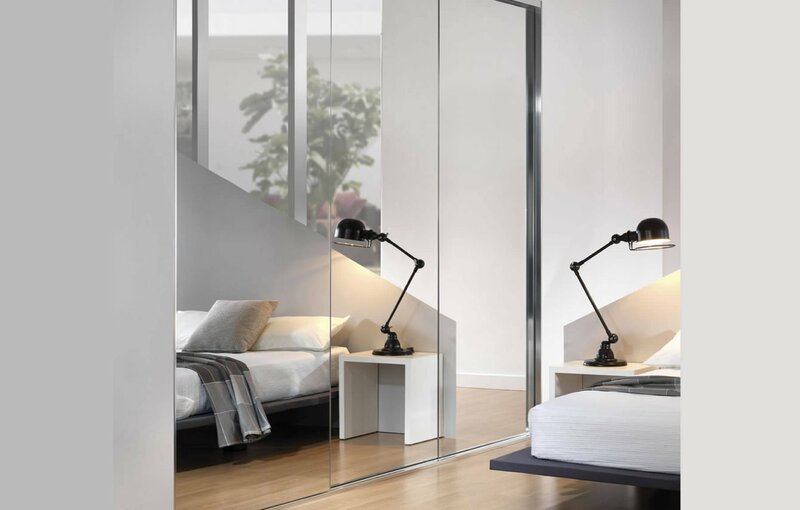 Imperium stocks and installs the new Slimline Triple Track System, which allows for the sliding doors to open up to two thirds, making it easier for you to access and view items in your wardrobe. 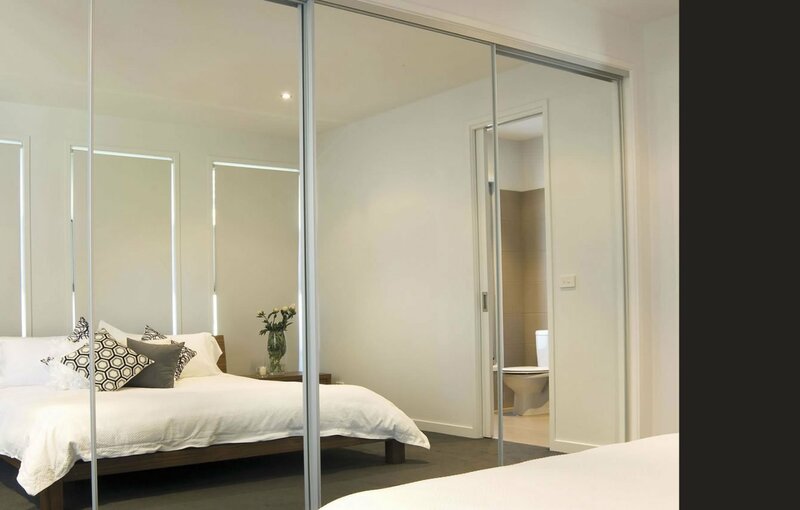 The Slimeline Tripe Track System offers a contemporary look, continuous finger grip on all door panels and foot-friendly easy to clean track. 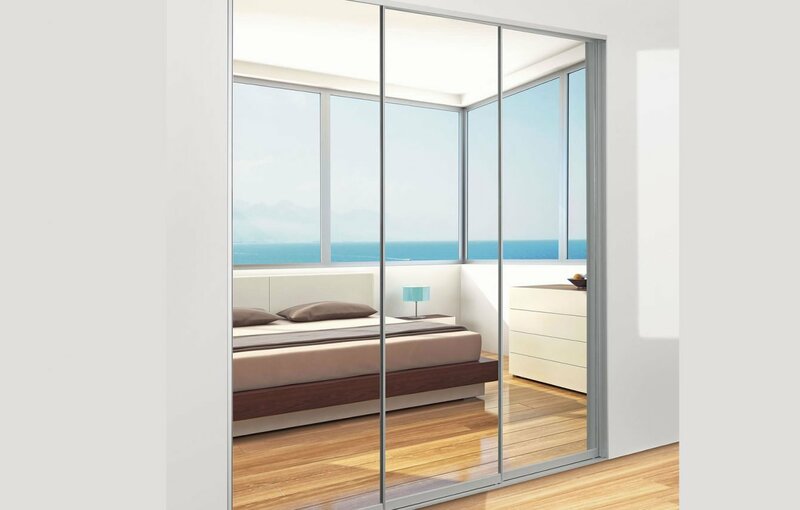 The slimline sliding door system is also available as a double track system, that is only 55mm in width, allowing you to remove existing swinging doors and fit our slimline sliding doors without altering your door jambs or removing the internal shelving in older buildings.